This entry was put on hold to highlight that we really need folks to send in LESS material. 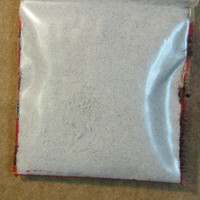 It is very important that people submitting samples to this testing program send in between 20 and 400mg of material. See how to send in a sample for testing. Keep in mind that just enough to *half* fill a capsule is more than enough for several analyses. If sending the sample in a baggie, it should be left under-filled so it's easy to seal. Packed baggies can spill and, because of the tight regulations, all of the spillage has to be collected. Yes, it's absurd, but it's the world we live in. The lab tech has to handle every little bit of material that shows up in the mail following specific protocols for storage and disposal. Spills takes time and money away from work that should go to better things. Never pack a baggie totally full. Starting in early 2016, we will reject samples that are overfull or charge extra for their handling, because it is a huge hassle for our team to deal with.